It is with great pleasure that Live Performance Australia (LPA) has today announced that Patricia Boggs has been awarded the inaugural SUE NATTRASS AWARD for her outstanding service to the Australian live performance industry. The industry achievement award will sit alongside the JC Williamson Award which saw this year’s recipient, John FrostOAM, honoured recently at the JC Williamson Award dinner in Brisbane. The Sue Nattrass Award, which will be presented as part of the 2014 Helpmann Awards, is a new honour named in tribute to and commemorating the lifetime service of Sue NattrassAO who, amongst many achievements, has been a long serving LPA President and the first woman to hold the position. This prestigious Award has been set up to recognise outstanding service to the live performance industry in a field which may not enjoy a high public profile. It has been established to shine a spotlight on people in service roles including arts administrator, academic or teacher, technical supplier, marketing professional, ticketing professional, agent, archivist, historian, public servant, and member of the media. “Patricia Boggs’ career has spanned many decades and many productions in most of our country’s theatres and many overseas. Having a career of a similar length and sharing some of those experiences, I have been in a handy position to observe the tireless, devoted work of this generous woman. I have seen the respect shown to her by her peers and the positive outcomes of her innovative thinking and her support for both the producers and the public. 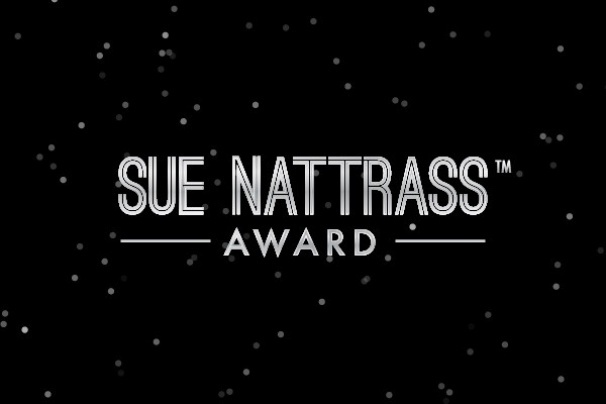 I have a deep respect for Pat and I am delighted that she is the recipient of the inaugural Sue Nattrass Award. I can think of no-one more fitting.” said Sue Nattrass. The first person honoured with this new award, Patricia Boggs has worked in many and varied roles during her long career, but she is best known for being Australia’s best and most respected Ticketing consultant. She has worked on nearly 150 shows from small plays to the biggest productions and with Australia’s, and indeed the world’s most prolific producers. After also working on more recent productions such as Mamma Mia!, We Will Rock You, Billy Elliot and Mary Poppins, she is a woman who has made an incredible lifetime contribution to live performance in Australia, certainly shaping the way current ticketing processes are implemented throughout the industry. “When I was told I was to receive the inaugural Sue Nattrass Award, I was amazed – Sue has been an inspiration in all facets of the Australian theatrical scene for as long as I can remember. I was overjoyed and honoured. I believe to reach any goal you must accept that there are no problems only solutions.” Pat commented on her award. Patricia Boggs, or Pat as she is affectionately known, is a true trailblazer of Australian theatre, starting her theatrical career in circa 1964 at Sydney’s Tivoli Theatre with a JC Williamson production of Hadrian VII. From here Patricia joined the Metro Theatre where she started as a booking clerk, becoming the treasurer of the Box Office soon after for the production of Hair. She went on to manage the Playbox Theatre before co-managing the Capitol Theatre working for Harry M. Miller on Jesus Christ Superstar. It was after returning to the Metro Theatre where Pat first met a very young John Frost who was sent to her by Harry M. Miller for an education in the box office. “This award could not have gone to a better person. Pat Boggs is a wonderful mentor and friend to so many people in the performing arts industry - she taught us all our sums and wrote the book on ticketing. Boy, can she sell a ticket or two!” said John Frost. In 1974 Pat became the Greater Union Theatre’s first female Manager before becoming Theatre Manager and Box Office Manager with the MLC Theatre Royal Company holding that position for 14 years. Pat was passionate about providing access to the theatre to some of the city’s most underprivileged children and schools. While working on Cats she convinced the producer to give away free tickets on many Wednesday matinees to the next generation of theatre-goers. This dedication continued throughout her career, and she believed that all people regardless of economic circumstance should have the ability to experience the joy of theatre, especially children. In 1989 she joined the Cameron Mackintosh organisation working on Les Misérables, The Phantom of the Opera and Miss Saigon. Pat was key in the establishment of an independent Box Office Operation for Cameron Mackintosh Australia in 1992, launching a retail shop front box office as well as an independent telephone call centre for The Phantom of the Opera Sydney season. Pat also played a key role in developing the opportunities for selling tickets to the travel industry via ticket/flight/hotel packages. “Pat is a marvel, a living legend, so it is terrific news that she has been chosen as the first recipient of an award named after another Australian theatrical legend, Sue Nattrass. I cannot imagine a more worthy choice than the Great Boggsy. Many Congratulations,” he added. Deputy Premier and Minister for Tourism and Major Events Andrew Stoner congratulated Patricia Boggs on receiving the inaugural Sue Nattrass Award in recognition of her contribution to Australia’s live performance industry. “We often talk about the unsung heroes and heroines, those people who work tirelessly behind the scenes to make sure everything runs smoothly and to plan, and so it is fantastic to see Patricia Boggs recognised through the Sue Nattrass Award for a career of outstanding service to Australian theatre,” he said. She has also served as a Trustee of The Sydney Opera House Board from 1996 to 2002. Pat will be honoured at The 14th Annual Helpmann Awards which will be presented live in Sydney at the Capitol Theatre on Monday 18th August and broadcast on Foxtel’s Arena.